How Long Should You Cook a 10-lb. Turkey? The time it takes to cook a turkey depends on the method used. One way to cook a 10-lb. turkey is to roast it in the oven. The USDA recommends that you use an oven that is heated to at least 325 degrees Fahrenheit. At that temperature, a 10-lb. turkey will take about three hours to cook if it is thawed first. A frozen turkey may take about 4.5 hours to cook through. 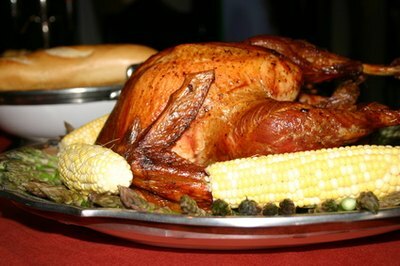 The turkey is safe to eat when it reaches a temperature of 165 degrees, according to the USDA. Deep-frying a turkey is a popular way to cook the bird in the southern United States. The cook submerges a seasoned turkey into a large stockpot or specially designed turkey fryer that is filled with cooking oil. According to chef Paula Deen, deep-frying a completely-thawed 10-pound turkey takes about 35 minutes. 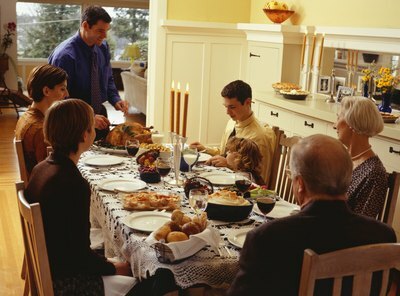 The internal temperature of the turkey should determine when it is done cooking, not the length of time that has passed. While turkeys generally cook in a set amount of time, this can vary widely based on the temperature of the heating element and the method used to prepare the bird. 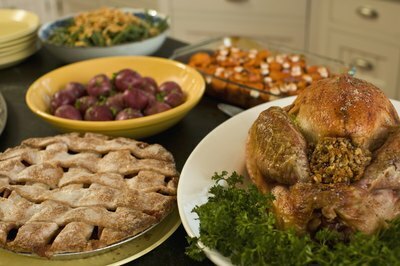 Learn tips on Thanksgiving turkey cooking time and how to put it in the oven in this free cooking video. What Is the Cooking Time for Turkey Legs?